It is not possible for a virtual instance running in promiscuous mode to receive or sniff traffic that is intended for a different virtual instance. While interfaces can be placed into promiscuous mode, the hypervisor will not deliver any traffic to an instance that is not addressed to it. However, CPU-intensive process is deployed onto every single machine. A web company is looking to implement an intrusion detection and prevention system into their deployed VPC. This platform should have the ability to scale to thousands of instances running inside of the VPC. How should they architect their solution to achieve these goals? 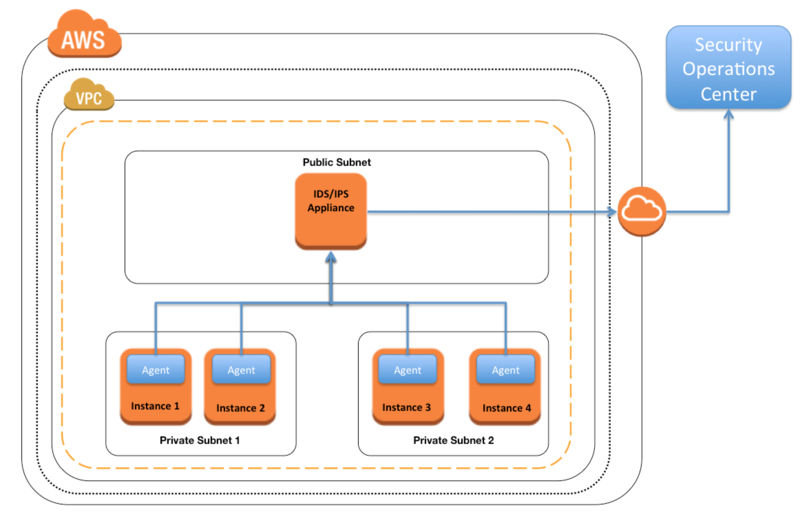 Create a second VPC and route all traffic from the primary application VPC through the second VPC where the scalable virtualized IDS/IPS platform resides. Configure each host with an agent that collects all network traffic and sends that traffic to the IDS/IPS platform for inspection. Hello Jayendra, can you please explain wht you meant by “host base routing is not allowed” below? This is no facility for the route commands which will allow to route traffic based on the host, hence the option is invalid. For my curiosity in question # 2 why you are not considering option B. here is the explanation for the B. B. Correct – IDS/IPS often involves listening to traffic. However the design proposed in B. Is out of date. It would work if you have Hubs, but not a Switch. If you want to listen to all traffic you need to listen to a specially configured port on the Switch. Frankly speaking, i haven’t found any material or videos from AWS mentioning the listening part old or new in promiscuous mode, which is basically not allowed. The other 2 selected are the only legal way to implement it. I see quite some discussion about the answer#b of question#1 ,would you pls kindly provide some advices on why the answer#b is not correct?thanks! b.Create a second VPC and route all traffic from the primary application VPC through the second VPC where the scalable virtualized IDS/IPS platform resides. Frankly I haven’t seen a solution that works with the traffic being passed from one VPC to another. With agents being installed is how all the third party solutions offering IDS/IPS work. However, I was not able to find any documentation as well which says for sure it doesn’t work. Thank you very much for your effort in building up the list of AWS services and tips for my ASA Pro study, which is best study material I’ve ever found. For the Q1-B, I think it’s doable. One of my customers is using this architecture, a dedicated Ingress/Engress VPC to handle the public traffices with WAF and IDS/IPS deployed in the VPC. Thanks and Thats Great EddMt. Can you share the technical details, i have been trying to check on that option but never got a chance to implement or see it being implemented as well. Why is not D? – Question asks to to implement an intrusion detection and PREVENTION system. Agent collecting trafifc can’t prevent attacks, it can only DETECT. Why is B? – IPS systems can proxy traffic. It can sends traffic to the end platform with their own IP address as a source (proxing traffic), avoiding “transit VPC peering” issue. but in reality I didn’t see a scalable IDS/IPS system. I think question is wrong. Q1 – I think the answer should be “B”. A is out, promiscuous mode is not allowed in AWS. C and D are similar in concept, just different wording. C is out, intrusion traffic would already hit the servers and would need to deploy routing on servers [configure each host] to send traffic to the IDS/.IPS platfrom. D is similar to C, intrusion traffic would already hit the servers and having to configure each servers [with an agent] to send (route) traffic to the IDS/IPS platform. B – The second VPC would act as a front-line IDS/IPS (scalable). It analyzes and filters traffic before malicious traffic hit the servers in the primary VPC. Technology wise, it would be similar to a firewall (IDS/IPS) at the point of traffic entry to the corporate network. It may work as WAF, but within the VPC. But haven’t seen any solution being implemented with 2 VPCs. If you find a reference, can you please let me know. Is this for CSAA ? yup better to know, i recollect an IDS/IPS question in the old CSAA exam.